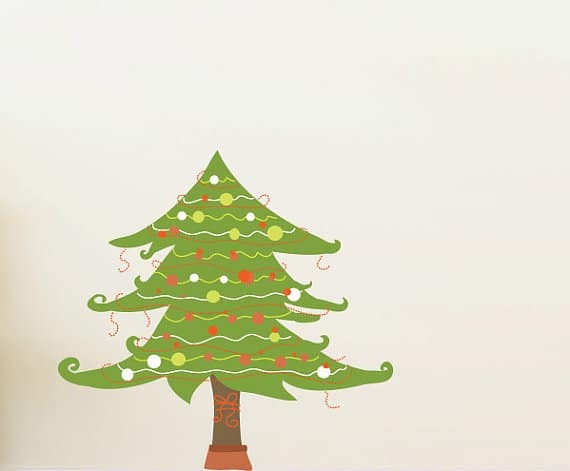 Using Christmas Wall Stickers is just another simple and affordable way to decorate your home at Christmas. It’s also an easy way for children to add some Christmas magic to their own rooms and the wall stickers can be easily removed, so there is nothing permanent that’s going to damage your walls. I hope you find the perfect one for you! Enjoy! This is an adorable idea – a fun way to count down to Christmas and a great way to decorate your child’s room at Christmas. Santa with his Reindeer and sleigh arrive on December 1st and each day of Christmas there is a different present or friend to join Santa on his sleigh! The flag that Santa holds can be personalised with your child’s name and can be pink or blue. 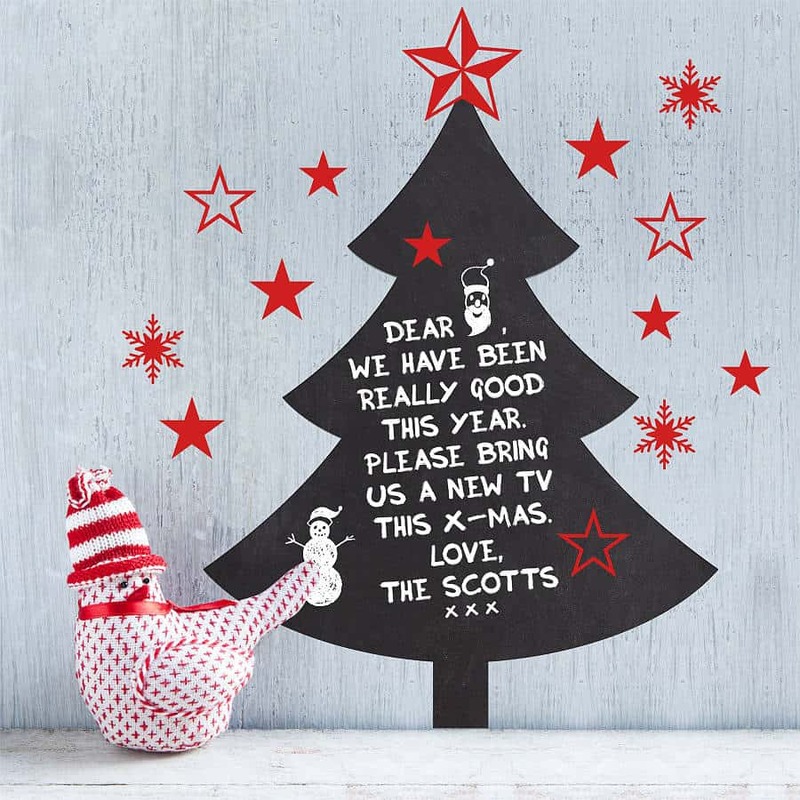 A lovely personalised christmas tree wall sticker, that doubles as an advent calendar. The tree comes partly decorated, with four presents under the tree and each day, your child will add a new decoration to the tree, right up until Christmas morning. 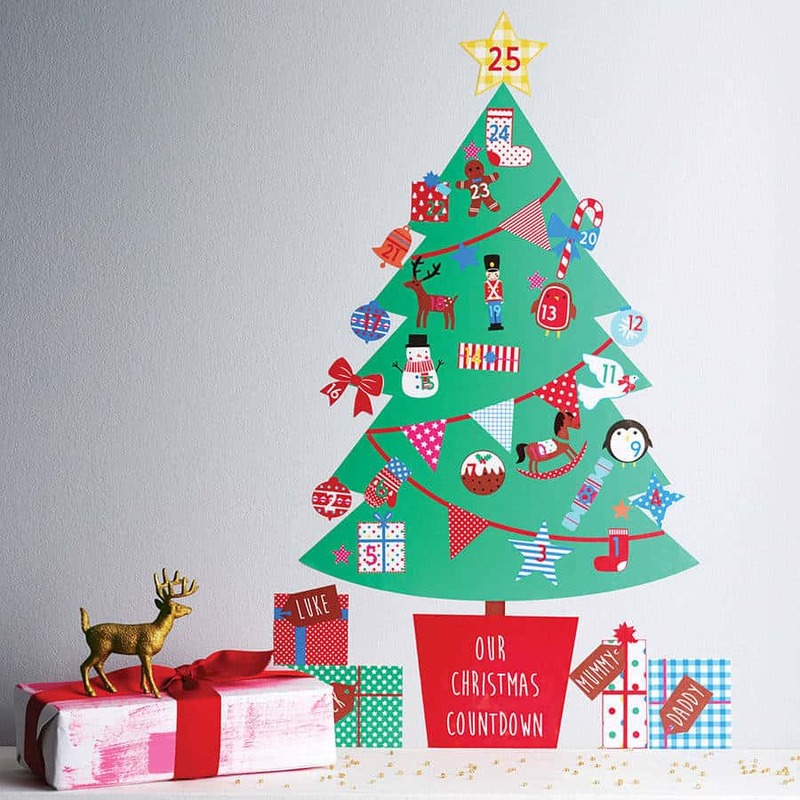 It’s a great way to countdown to Christmas, but also a lovely decoration to have in their room, with zero fuss! You can add your child’s name to the tree pot and personalise the names on the presents. From Kidscapes Wall Stickers, (NOTHS). 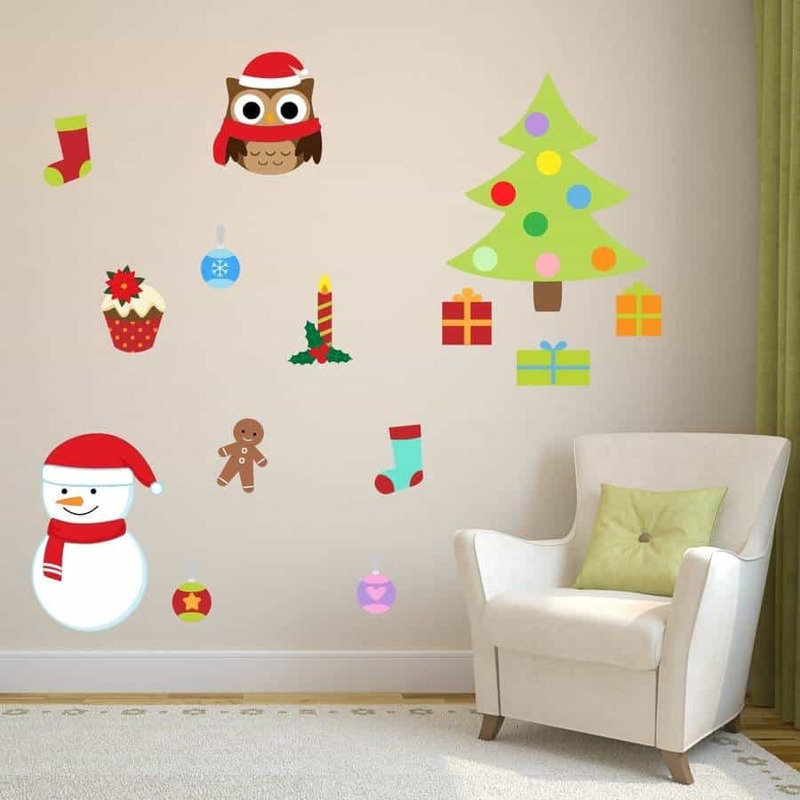 This Christmas wall sticker set would be perfect for your kids room, or in the living room. 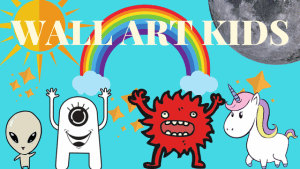 Each set includes a Christmas tree, a snowman, an owl, some presents and a few other festive stickers. Completely removable and reusable – after Christmas, simply remove and place back on to the original backing sheet until next year! 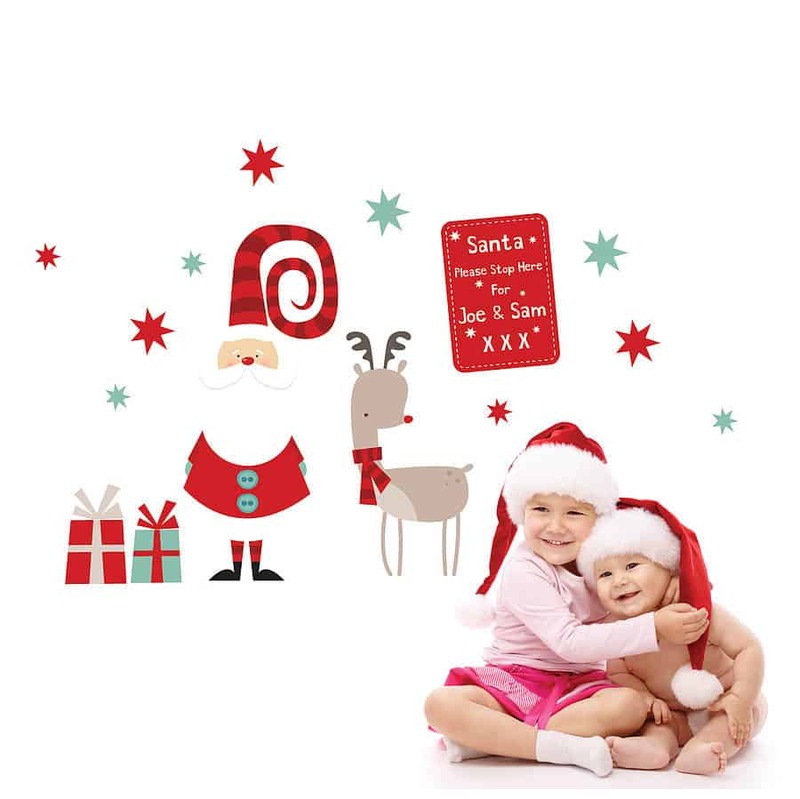 A gorgeous Santa and Rudolph wall sticker – Santa has a great curly hat! It is also personalised, as you can add your children’s names to a note to Santa. 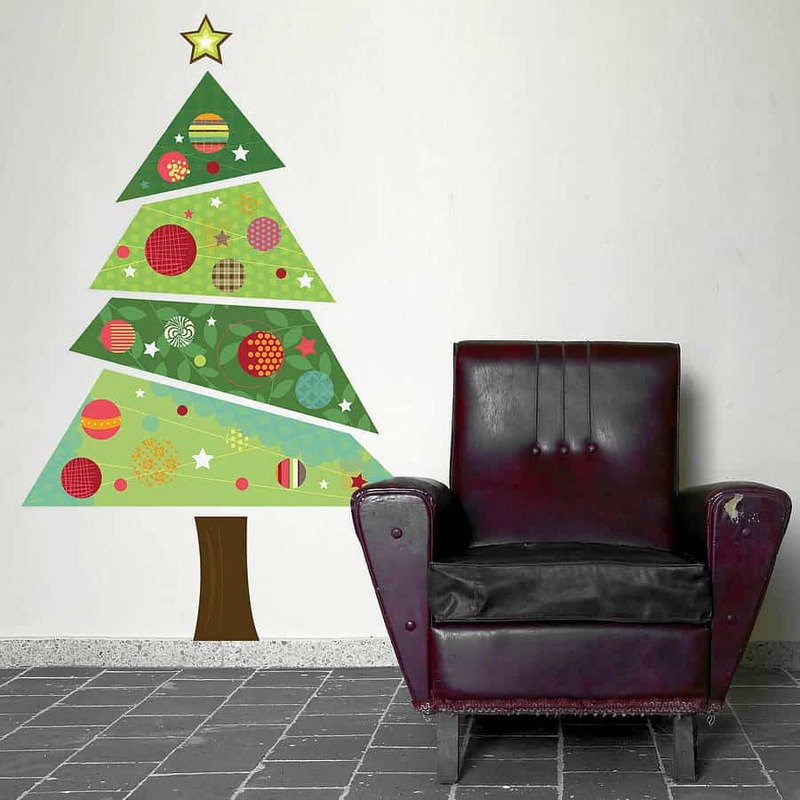 A Christmas tree wall sticker that also doubles as a chalkboard! So, your child can draw on their own decorations – or whatever they wish to add to it! The great thing is, it can easily be wiped clean and they can draw on it again and again. It with a liquid chalk pen! A beautiful looking colourful fabric Christmas wall sticker. Made from eco friendly woven fabric. An ideally sized wall sticker for a child’s room, this wall sticker also comes in a larger size. An adorably quirkly little design. Ships worldwide from the USA. Don’t forget to check out this Christmas blog post exploring “unique Christmas tree” ideas.